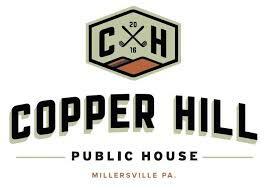 The first social night for Penn Manor Alumni will be held on Thursday evening, September 29 from 5 to 7 pm at Copper Hill Public House located at Crossgates Golf Course in Millersville. This is a great time try a new restaurant, owned by Penn Manor grads, and meet and mingle with other Penn Manor alums. Totally casual and just for fun!! Drop in and see some old friends and make some new ones! Watch the PMAA website and our Facebook page for future social night events.